Well I'm back from surgery and things went really well. I'm doing good, just a little sore and a little tired. I colored the giraffe image from Hot Off the Press' Mini Giraffe set with my copics. 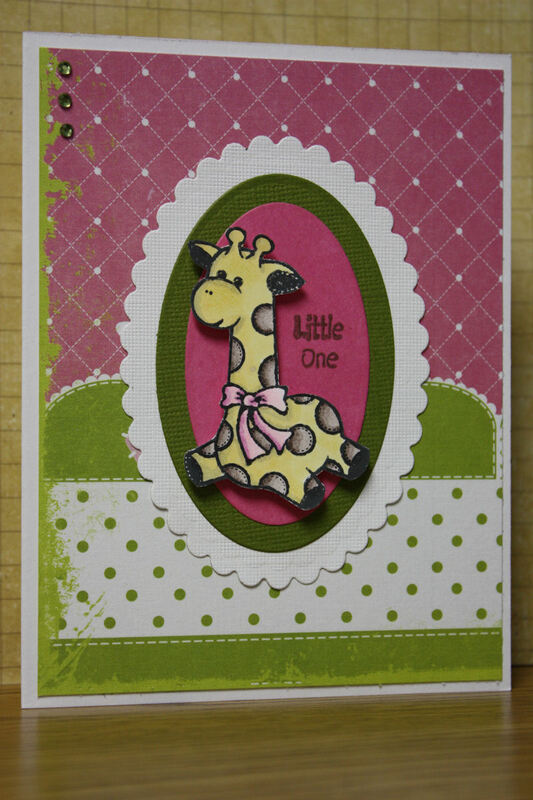 Then I pop-dotted the image onto a few layers of oval shapes and stamped the sentiment. Added all of that to a piece of scrap pattern paper, added some bling, and it was finished.